A local mother, whose son had an operation to remove a third of his right lung, inspired his nursery to hold a Pyjama Party for The Sick Children’s Trust – a charity which provides free ‘Home from Home’ accommodation for families with seriously ill children in hospital. 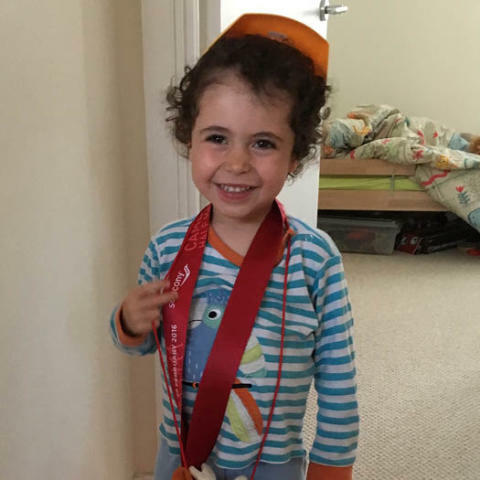 “When we arrived at the hospital we were offered a place to stay at Acorn House, which is free accommodation run by The Sick Children’s Trust. But because we don’t live far away from Addenbrooke’s Hospital, my husband Jody and I chose not to stay at Acorn House, as we knew that there would be other families who lived much further away than us who would need it more. “However, we were still handed a key by the nursing staff who said the team at Acorn House were more than happy for us to use the facilities – like the laundry room, living room and the kitchen which we felt very grateful for. Luckily, Samuel was only in the High Dependency Unit (HDU) for one day after his operation before he was moved to the general ward, where I was able to sleep next to him, while Jody went home to look after our little girl, Florence. 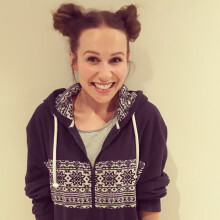 “Not only did I see for myself the fantastic work The Sick Children’s Trust do, I also met many families, who lived hours away from Addenbrooke’s Hospital who spoke of the utter relief they felt about having somewhere comfortable to rest at Acorn House, for as long as their child was in hospital. When Samuel was on the HDU I made friends with a mother whose daughter had been on the unit for over two weeks and she said it had literally saved her life and that having the emotional support of the staff at Acorn House is something she would never forgot. 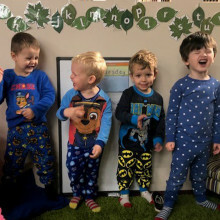 Fawcett Nursery held their Pyjama Party on 16 October and all the children donated £1 to The Sick Children’ s Trust to wear their favourite pyjamas to nursery and take part in various activities during a fun-filled day. By taking part, the children raised £35 and helped The Sick Children’s Trust support one family for one night in a ‘Home from Home’. “We heard the day was a great success and the children loved being at nursery in their pyjamas and loved all the exciting games they played.